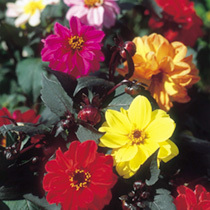 Dahlias are easy to raise from seed and invaluable for colourful autumn floral arrangements. 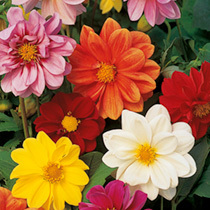 A half hardy perennial, Dahlia Seeds need to be sown between February and April under glass, so that it will flower during June to September. 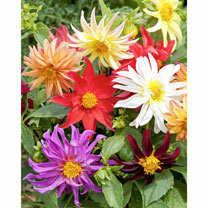 Dahlia seeds should germinate with 5 to 20 days. Transplant the seedlings into tray or 75mm pots to grow on. 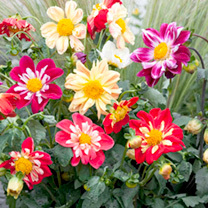 The Dahlia plants need to be acclimatised to outside condition before planting out (when all danger of frost has passed) at 45cm apart, in an open sunny position.